An emerging custom home builder in Idaho's Treasure Valley focused on quality and style. We can assist you through the entire process of building your dream home, including: acquisition of the right lot, financing, design, construction, and interior decorating. We have over 15 years experience in the construction industry. We offer a high standard of craftsmanship that includes extended guarantees. Quality Craftsmanship. Our vast knowledge of designing and building custom homes, along with friendly employees, will enable you to have a positive experience building with Legacy Homes. Unprecedented Customer Service We believe in tailoring the process of building a custom home to each of our individual customers specific needs and desires. Our ultimate goal is to exceed your expectations. We Offer a One-Year Warranty on All of Our Work. This warranty is in addition to the long-term manufacturers warranties that are provided on materials. We Will Build You Equity. We are delivering homes to our customers with $50,000 to $100,000 equity the day they move in. We will help you create an asset! Unbeatable Prices. We focus on getting the best quality craftsmanship at the best prices from our subcontractors, and as a small business with low overhead, we have the ability to build your home at a better price than our competition we guarantee it! Design Build Capability. Doug Atwood's vast experience building custom homes has allowed him to develop his skills in the area of design. In fact, at no charge we offer to our customers an unlimited amount of time to design their home. Come see for yourself some of the homes that Doug has designed. 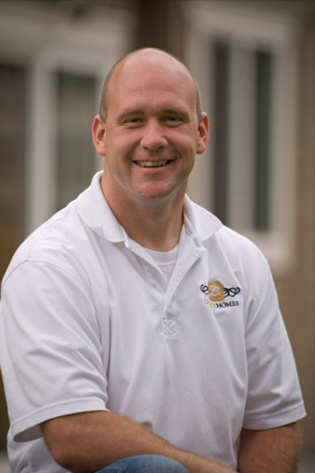 Hello, my name is Doug Atwood with Legacy Homes of Idaho. I have had the opportunity to be in the construction industry all my life. In my early days in the industry, I had the chance to work as a subcontractor in several different trades. The lifelong experiences I have had managing construction crews gives me a comparative advantage as I select subcontractors to complete the quality craftsmanship I expect in my homes. My goal is to establish a personal relationship with my customers to help them through the various stages of building a home, starting with the design, to the acquisition of a suitable lot, and on through the construction and completion of their dream home. 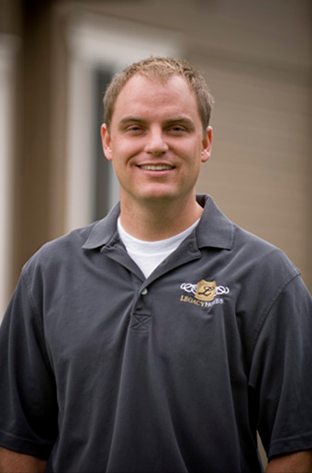 Hi, my name is Nate Sampson with Legacy Homes of Idaho. I run the operations side of the business so Doug can focus his undivided attention on ensuring the quality of our homes. I have worked in many areas of the construction industry throughout my life. Prior to partnering with Doug, I had the opportunity to work as a Congressional Aide on Capitol Hill and as a Presidential Appointee at the U.S. General Services Administration, the real estate arm of the federal government. While in Washington D.C., I completed a master’s degree in Real Estate Development from Johns Hopkins University. When I saw the quality of Doug’s work I decided to offer my services to Legacy Homes. I will work to ensure you obtain the best financing available in today’s market to build your home. If you are looking for a great product at an unbeatable price, you cannot go wrong with Doug Atwood and Legacy Homes of Idaho.